To report a lost or stolen credit card, call 563-388-8328. After business hours and weekends, call 800-234-5354. Keep your tax stress in check. Enjoy a special reduced 1.990% APR rate on balance transfers made on or between March 14 and May 31, 2019 for twelve months from transaction post date. After 12 months any remaining balance from this promotion will return to the current purchase APR of your usual card rate. This offer applies to new balance transfers only. All balance transfers are subject to credit approval. Some restrictions apply. Use your card at the places that you love and get cash back! 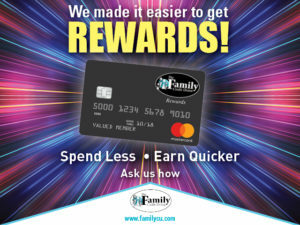 Balance transfers and cash advances do not count for Rewards. This program can be changed by the credit union with sufficient notice. 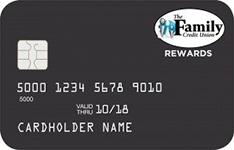 The TFCU card has interest rates substantially lower than most other credit cards. Rates as low as 9.90% APR*. If you want to build new credit or rebuild credit, ask about this credit card program – designed to establish a good credit history with less risk built in. MyCardInfo gives secure access to your MasterCard information online. 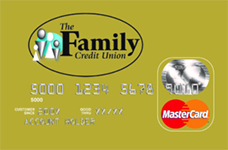 First-time users will need card and credit union information available. Sign up for free online credit card shopping protection. SecureCode helps protect you from unauthorized credit card use by asking for password authentication. * APR = Annual Percentage Rate. As low as 9.9% APR for purchases. 1% foreign transaction fee. Late payment fee of $15.00 and returned payment fee of $20.00. ** APR = Annual Percentage Rate. As low as 12.9% APR for purchases. 1% foreign transaction fee. Late payment fee of $15.00 and returned payment fee of $20.00.